Lil' but Mighty is all about helping you fulfil your potential and achieving your personal best. With our uniquely crafted 5-Course Menu, we endeavour to partner with you in getting a quality pass from your D's and C's! 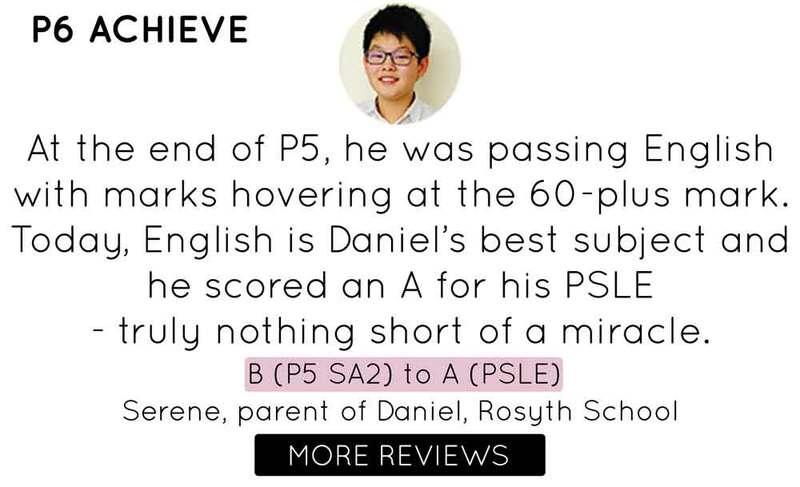 Our curriculum guarantees relevance to PSLE and school assessment. Through research and rigorous analysis of past-year papers, our team of teachers are kept abreast of the requirements of formal assessment and the latest changes in the syllabus. Helping children to see English's relevance to the world is just as important. Authentic learning is infused through the use of real-world materials and tasks (such as using a menu above to illustrate our curriculum). We want your children to have an edge in school and in the world. 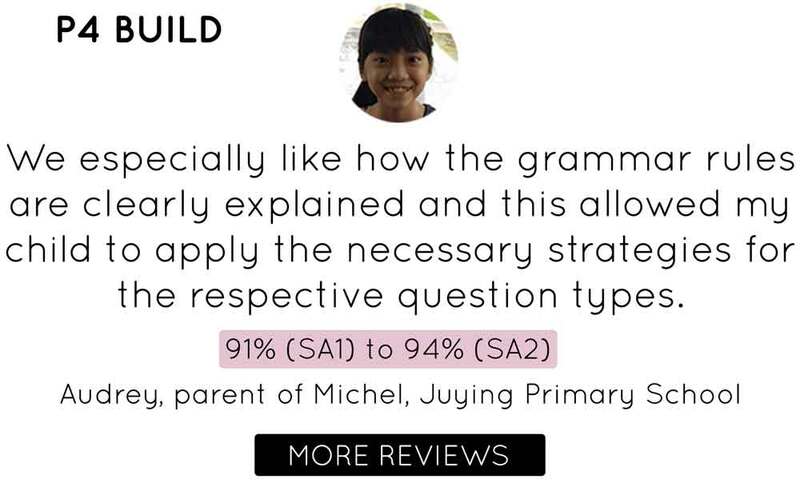 Skills-based instruction allow our lil' ones to be equipped with essential skills to tackle various question types. Topical worksheets focusing on explicit question types (e.g. True/ False questions for Comprehension) coupled with revision worksheets ensure that children have a clear understanding of the strategies needed for every component. Learn about easy & useful strategies like iDoT, RASE, the "it"-test and more! We think for our lil' ones & never overload them with homework. 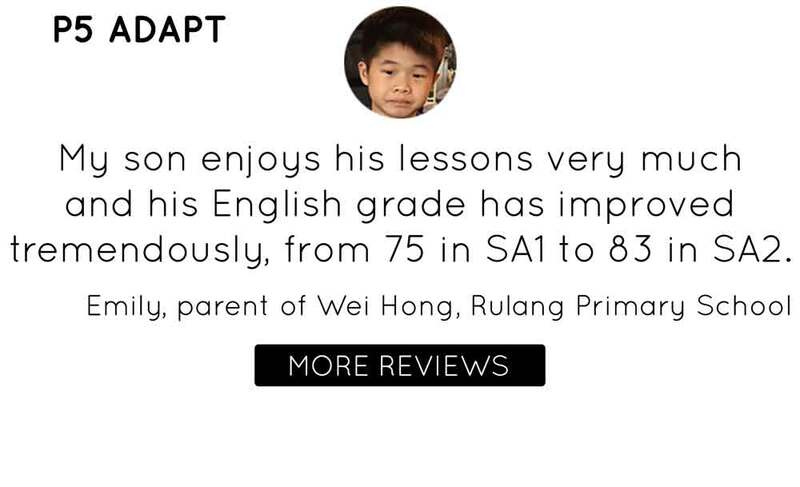 Each 2-hour lesson is meaningfully used to maximise the time in class. We also know how children like to learn and how they can learn better. Bite-sized learning allows children to digest hard-to-grasp concept more easily while multimodal learning (using media and videos) and games are carried out to inject fun. Burp! A delectable partnership with parents and children. Our lil' ones frequently reflect on their work and areas to work on in class. These are recorded on Class Dojo, an easy-to-use-app that connects our teachers to parents. Parents are kept updated about their child's progress & what is going on in class. Your children have ownership over their learning as they savour the goodness after class by bringing home videos of essential skills taught in class. Empowering your child to learn helps them to be more invested in their own learning. Parents are welcome to join in the learning too! Should learning only be within the classroom? We don’t think so and at LBM, we want your child to continue with their learning even outside the classroom. Here’s how! 1. Covers all components of English assessment except for listening comprehension. 2. Small class size - 6 children per class. 3. Strategies and step-by-step approach to tackle the key components of the MOE Primary English syllabus such as Composition, Comprehension, Cloze Passage, Oral, Grammar and Synthesis & Transformation. 4. Infusion of authentic resources (e.g. newspaper articles, informational texts, songs, etc.) and tasks to enrich and engage. Opportunity for pupils to reinforce learning when they explain and reiterate concepts to their peers. When you teach, you learn. Opportunity for pupils to learn from each other's mistakes and discover their blind spots. Increased motivation in a group setting when there is friendly competition. It takes a village to raise and grow a child. At Lil' but Mighty, every child is capable of growth and the best part is that as teachers, we have the opportunity to do so with the children. Our teachers at Lil' but Mighty believe that every child is unique and building positive relationships with the children and parents opens up opportunities for learning. Equipped with rich and relevant teaching experience, our nurturing yet dynamic teachers are always coming up with new and engaging strategies in teaching English. All teachers at Lil' but Mighty gather weekly to discuss and design materials that best tailor to children's learning needs. Alignment across the curriculum and different classes is ensured through the weekly reflection sessions. Learning is a never-ending process and this applies to our teachers too. To provide innovative ways of learning and to be kept abreast of the latest pedagogy in teaching, all teachers are required to attend English workshops and share the learning thereafter. We hope that as we hunger to learn, we will inspire our children to do so too.